If you thought that JJProdigy was simply going to go away and leave the online poker world when he was banned from pretty much every site back in early 2006, you were sadly mistaken. JJProdigy is suddenly back in the news once again, and this time another well-known poker player has been banned on Full Tilt Poker for having ties to JJProdigy. If you don't know the back story, here is the basic gist of it. JJProdigy, a young poker phenom still in high school, had pretty much won every major tournament there was to win back in late 2005 / early 2006. However, JJProdigy was also multi-accounting, and one of his "extra" accounts won a major Sunday tournament on PartyPoker. Gbmantis, one of JJProdigy's "students", posted a congratulations on Pocketfives, congratulating JJProdigy on his win. JJProdigy had won the sunday tournament on PartyPoker playing as "ablackcar." The only problem was that he had also entered the tournament under his normal "JJProdigy" account, and had been knocked out earlier. Anyways, this led to JJProdigy being banned from pretty much every major poker site, and it also led to Zeejustin being banned as well. Anyways, fast forward a little bit. 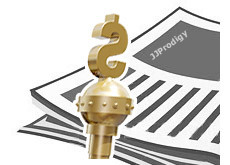 JJProdigy is still very much involved in the online poker world. He backs a countless number of players. He has tutored some of the top online players in the world, including Sorel "Imper1um" Mizzi and GBmantis. One of the "students" he has also backed is "YourTimeIsUp" on Full Tilt Poker. "YourTimeIsUp" has had quite a bit of success on FTP, winning a Sunday 400k and taking down multiple other big tournaments on the site. Also, JJProdigy backed "YourTimeIsUp" in some of the big cash games on Full Tilt Poker as well. Anyways, "YourTimeIsUp" was banned from Full Tilt Poker. Why? He let JJProdigy sign on to his account. In his words, he "let JJ sign onto my account when I had to go somewhere." 1) You can probably safely assume that JJProdigy is playing right now on all of the major poker sites (using a family members name under a different IP address would be pretty hard to detect). Which names is he playing under? Which major tournaments has he won in the past year and a half? 2) Why did he sign onto YourTimeisUp's account? 3) Does JJProdigy ever finish up tournaments for the players that he is backing? How far does he take his "mentoring" of students? 4) Were "YourTimeIsUp's" wins on Full Tilt Poker actually his own, or was JJProdigy playing on this account? It begs the question since JJProdigy signed onto the account at least once. 5) How many top online pros are currently multi-accounting? Jeff "Actionjeff" Garza recently started a thread on 2+2, telling people to stop multi-accounting without naming names. Obviously it is still a problem. If you have an expected ROI of over a couple hundred % for each tournament that you play, I would say that it would be pretty tempting for someone (especially a younger person) to multi-account. 6) Can online poker rooms really do anything to stop multi-accounting? If you have multiple Internet service providers wired into your apartment, all on different computers, playing under accounts with different family member names, how can online poker rooms really stop that?